Worked my good friend and professional colleague Nathaniel, W2NAF, who is a radio instructor at the 2013 National Jamboree. 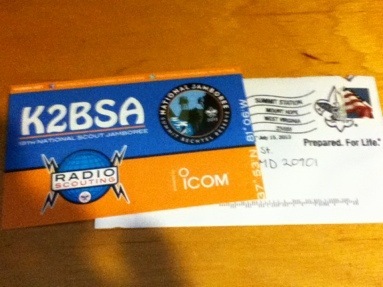 Fast QSL with a special postmark. Ham radio continues to be cool.